Create the app; Create the initial layout; Develop basic navigation between tabs; Develop basic navigation between forms application. Creating the first working prototype; Creation of fictitious data LiveBindings; Connecting the fictitious data LiveBindings with screen objects, such as TListView; Installation of other system screens using LiveBindings; Using Parse.com service; Creating Class for username and password in the cloud as well as other features; Login and Online Password; Modeling our SQLite database; Introduction to SQLite and suggestion tools. Creating the main DataModule; Configuration of the main components for access to the database; Creation of methods of listing and Title Details Title; Assembly of functional screens. Installation and configuration of the Git XE7 at Delphi; How to apply styles more professional? Creating a preferences window; Creating class to store preference information. Creation of server DataSnap; Creating the connection with the server module DataSnap; Connection test. 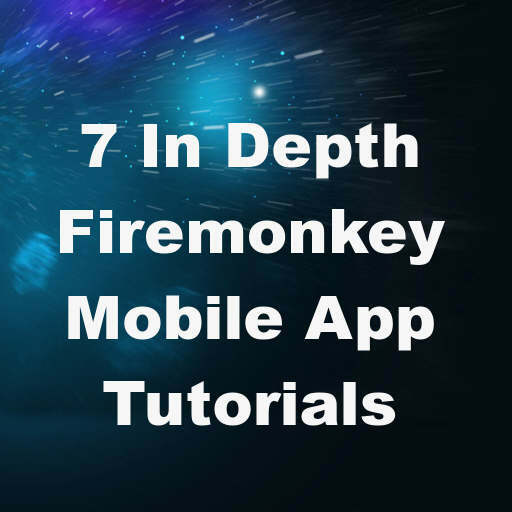 Finally be sure to check out all of the other blog posts over on the TDevRocks blog as there are a lot of other Firemonkey related posts. I’m available for all Delphi community around the world.